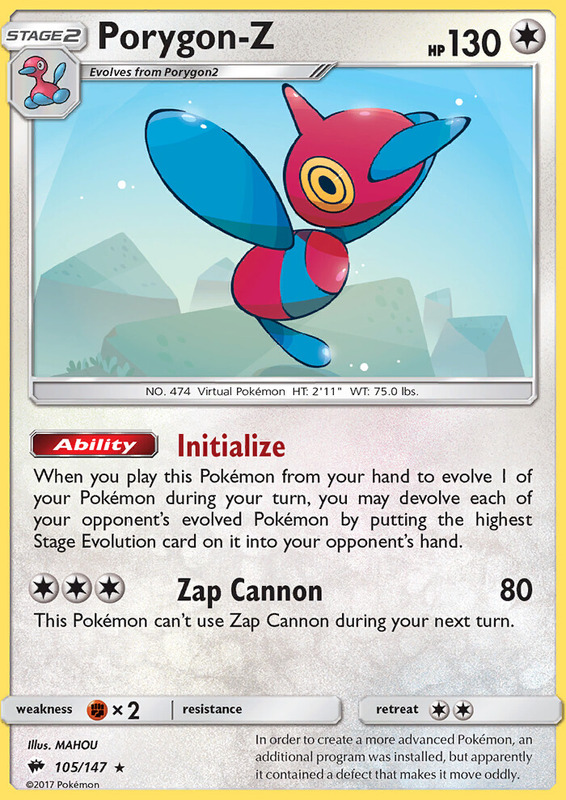 When you play this Pokémon from your hand to evolve 1 of your Pokémon during your turn, you may devolve each of your opponent’s evolved Pokémon by putting the highest Stage Evolution card on it into your opponent’s hand. In order to create a more advanced Pokémon, an additional program was installed, but apparently it contained a defect that makes it move oddly. Discard all Special Energy attached to each of your opponent’s Pokémon. During your opponent’s next turn, the Defending Pokémon’s attacks cost [C] more. As often as you like during your turn (before your attack), you may move a Plasma Energy attached to 1 of your Pokémon to another of your Pokémon. 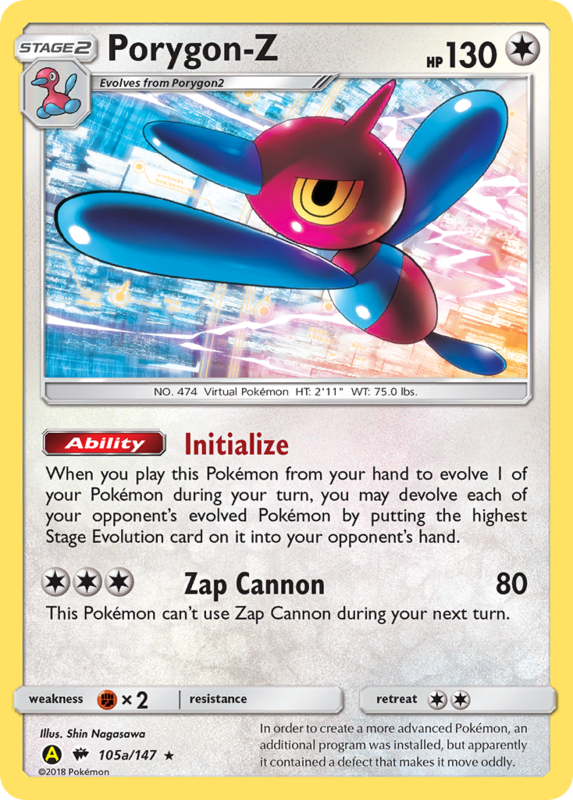 As often as you like during your turn (before your attack), move a Technical Machine card attached to 1 of your Pokémon to another of your Pokémon. 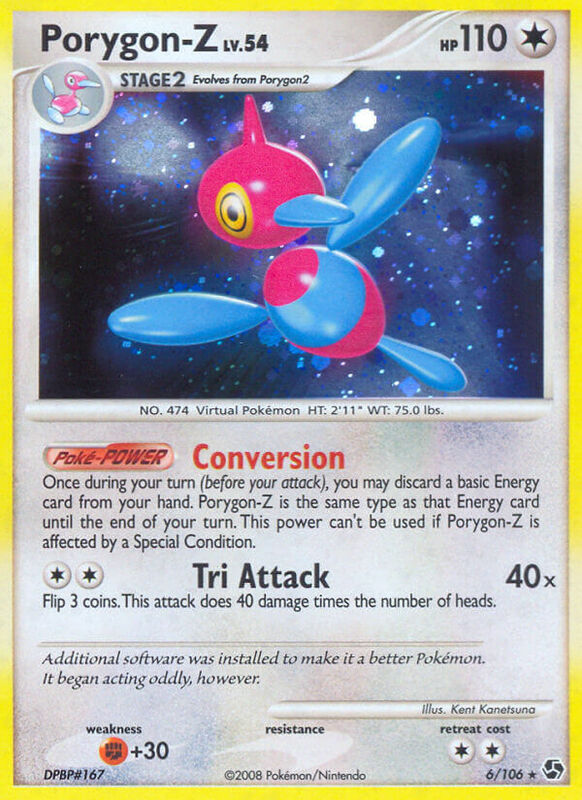 This power can’t be used if Porygon-Z is affected by a Special Condition. Search your deck for a Pokémon LV.X that levels up from 1 of your Pokémon, and put it onto that Pokémon. (This counts as leveling up that Pokémon.) Shuffle your deck afterward. 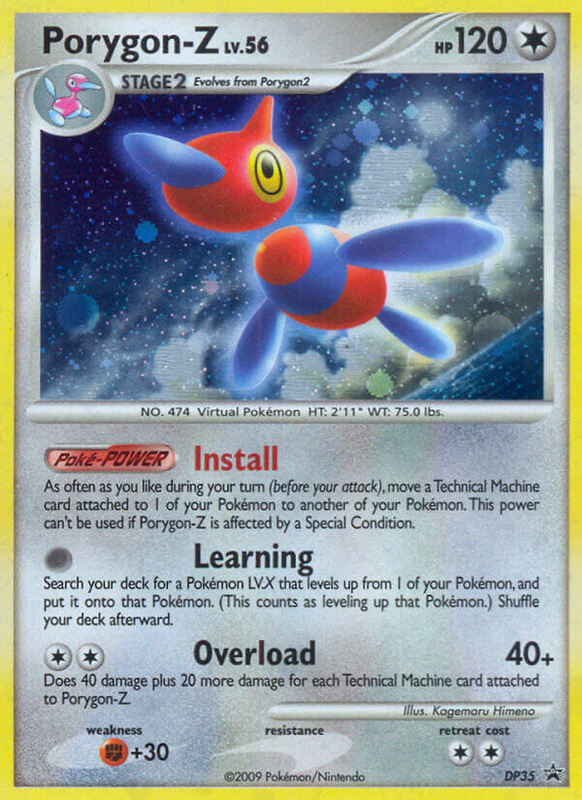 Does 40 damage plus 20 more damage for each Technical Machine card attached to Porygon-Z.